An in depth look at my proven, 50-step web design process for planning, building and launching a successful website design! My proven 50-step guide to successfully planning, building and launching a website! You're just getting started in web design and have no idea how to successfully build and launch a website. You design websites but have no process in place and find that every project ends up being a costly, disorganized mess. You already have a process in place but you know it can be better and more efficient in saving you time and money. 20 videos covering the 5 phases below (including the 50 steps) in my web design process. Total course time: 4hrs 10m (of video) accompanied by written posts. We will build out a full website in this course but it is not a website "design" course persay. It's more about the process from starting and finishing a website. This is not an SEO course. Will cover some of the basics, how to optimize, how to submit to Google, etc but the focus is not an SEO course. This course isn't Divi specific or even WordPress specific and can be applied to web design creation with any coding or CMS platform. Not likely as the course is already 100% built out and in place but I will make any updates or additions needed to refine or add to the process if need be. 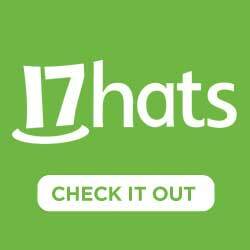 Love this course very informative. 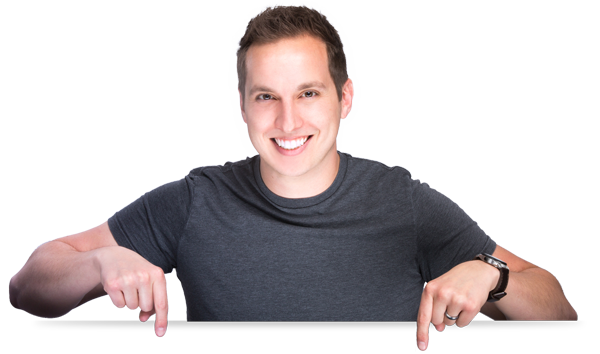 Josh has a really good teaching style that is easy to follow and to understand. I have honestly learned more from his courses then I did in college as a web design major. Really appreciate the review and your feedback, Zach! Can’t tell ya how much that means to me to hear. I only have some community college experience in my academic career but I remember thinking it was a very long, slow and confusing way to learn. I felt like there had to be a better way to explain stuff faster, easier, with less fluff and more real world experience. Your feedback really encouraged me to keep going. A quote I heard a while back (that I love) and that I think applies here is that “The standard pace is for chumps.” I firmly believe we can learn the best, most important aspects of web design in a quarter of the time or less than those in super expensive college degrees. I’m not against higher ed, but I created these courses for folks just in your situation; who went through a whole program but obviously didn’t get what they really needed for the real world. I love the way Josh explains everything, direct and easy. He also gives lots of resources, very helpful. This is my second course and surely it won’t be the last. Amazing. 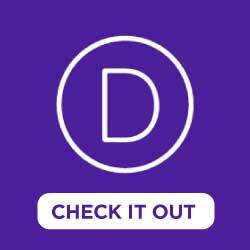 I’ve designed about 10 websites on Divi before watching this course. Wish I would have watched this before site 1 or 2. The additional resources are very valuable. 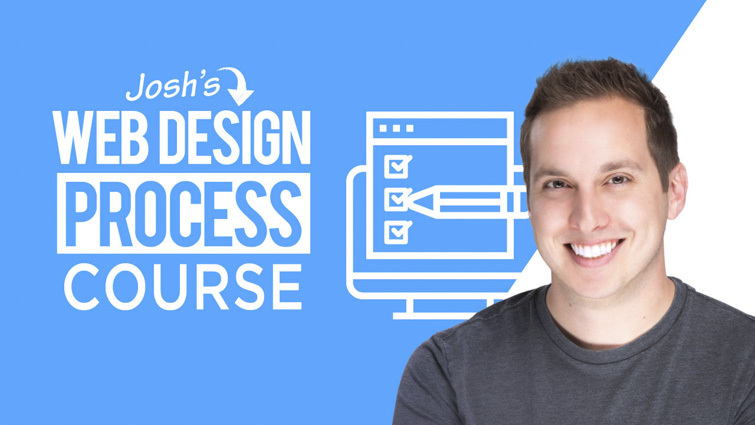 I know this course wasn’t meant to be a “design” course…but following Josh through the process of designing a site I picked up on several little nuggets and some really big time-saving tips! At this point, my plan is to work through one course for every new client site I book. Can’t wait to buy both the CSS and CPanel courses. I did this course in one day straight. I’m starting the biggest client project I’ve had to date in two days…and can’t wait to use what I learned today to save me time and deliver a better experience and product to the client. Josh, thanks for helping me go further faster as a freelancer and for helping me look, be, and do better for my clients. Josh, thank you for this thorough, high quality course. It looks like I’ll be starting my largest project in 5 years of web design soon. This is exactly the preparation I needed to ensure I can offer my new client the crème de la crème of work flows. The one approach that particularly speaks to me is how personal you are with your clients, using video – i.e. 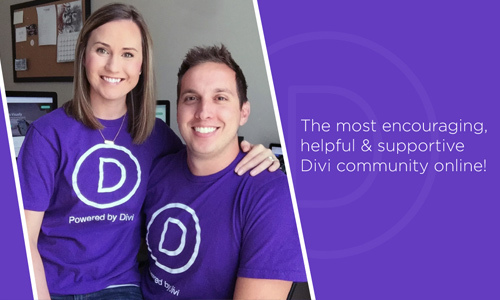 presenting your work, custom tutorials, and requesting video reviews from them. I definitely plan to take a leaf out of your book and get less camera/mic shy! Your Website Maintenance Plan Course is next on my list. Can’t wait to get started on that one. 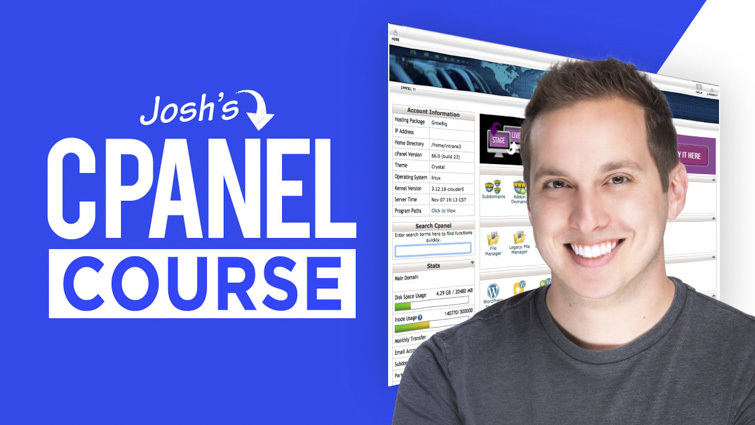 So I only purchased Josh’s Webdesign Process Course because – well basically – most courses on the web are crap. That was my first mistake. I should have just bought the bundle! 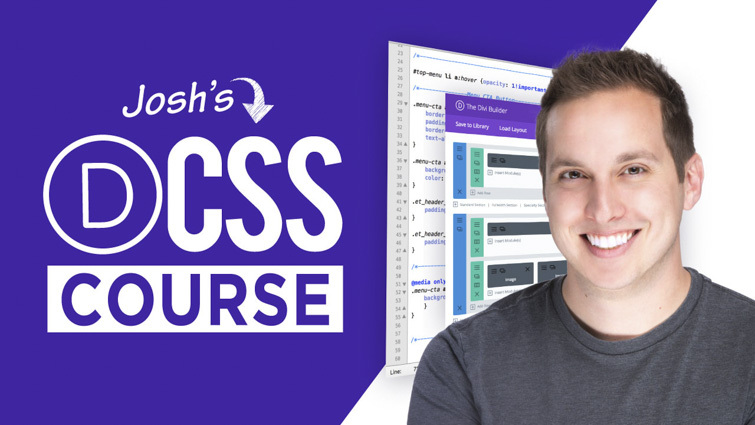 Josh has produced a great course! He explains everything well and doesn’t rush through each step. I really like how Josh approaches his work in a simple and logical way, making sure that the work he produces is great quality. So lucky he decided to share his skills with everyone smart enough to take his courses. Thanks so much – definitely a 5 Star rating! This course was extremely helpful. 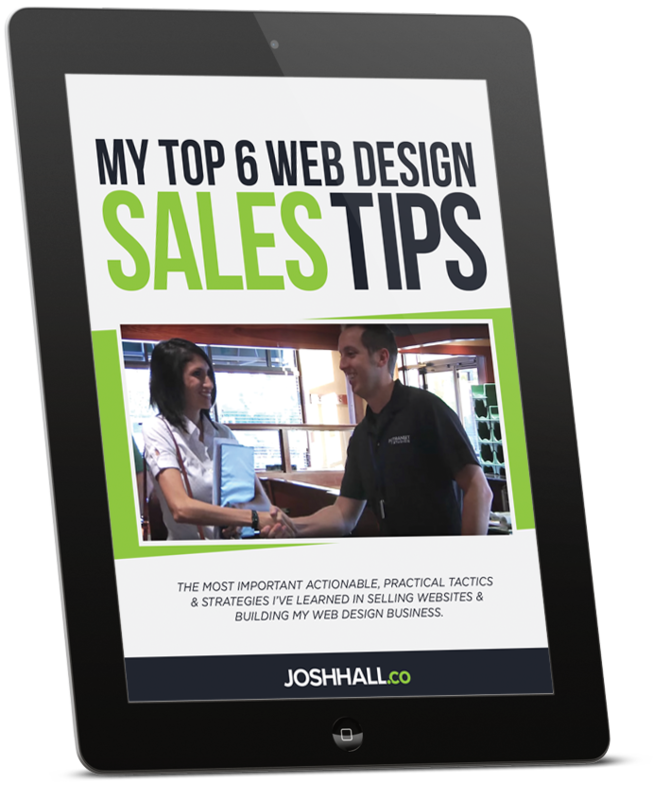 Although I have been building websites for a few years now, Josh’s 50 steps has made it so easy. Each step completed leads to the next next step in the process – brilliant! Before this course, I completed websites, however my workflow was all over the place. 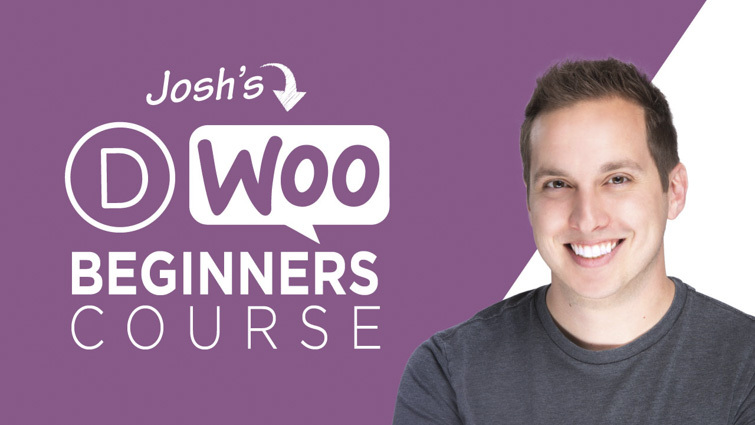 This course is just what I’ve needed to organize my workflow and achieve more in less time! Each video was full of clear, concise and practical information. The extras Josh supplied in the modules are also extremely helpful. It is apparent that the success of his students is something he measures his own success by as he is most generous with his knowledge and experience! I would recommend this course to anyone who is serious about having a web design practice so that the use of your time can be efficient, all bases are covered and the end result is achieved with ease – this means a faster and more efficient workflow makes room for more clients!! !